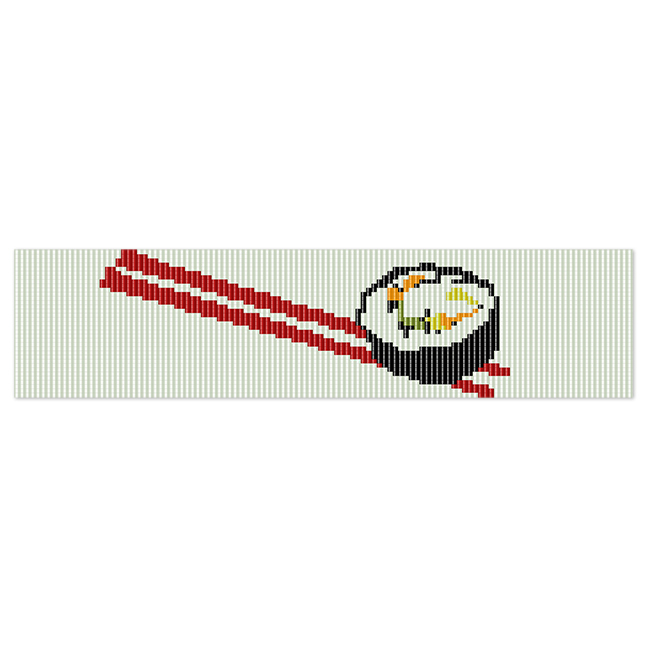 Bracelet pattern designed for loom or square stitch, featuring a roll of sushi on a pair of bright red chopsticks. Perfect for making a gift for the sushi lover in your life! Color graph with symbols and word chart are both provided. This pattern includes a realistic thumbnail, a full-color chart for easy following, and suggested Delica colors.